Located in Ringwood, this apartment is in the suburbs, a 3-minute drive from Eastland and 9 minutes from Westfield Knox. 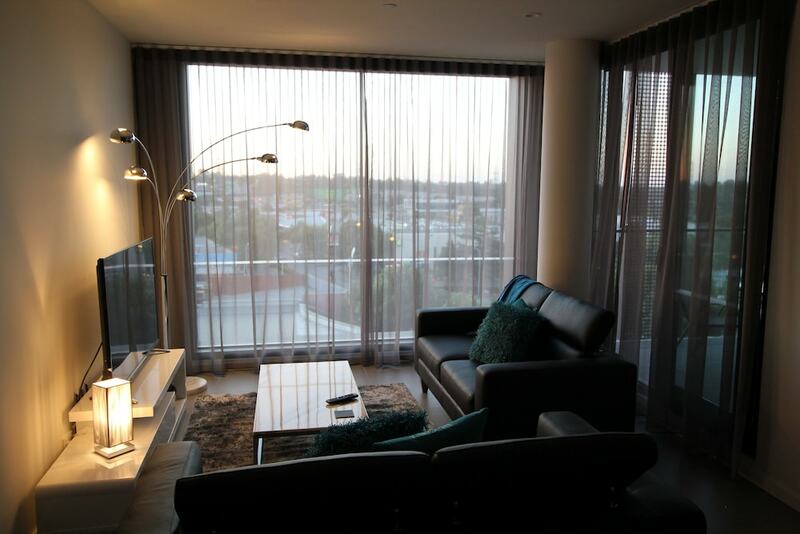 This apartment is 11.6 mi (18.7 km) from Monash University and 9.5 mi (15.2 km) from Deakin University. Make yourself comfortable in this air-conditioned apartment, featuring a kitchen with a refrigerator and an oven. There's a private balcony. A 55-inch flat-screen television with Netflix provides entertainment, while complimentary wireless Internet access keeps you connected. Conveniences include a microwave and an electric kettle.